For the billions of landbirds that pour south into Latin America and the Caribbean each year, identifying what is causing a species to decline has been extremely challenging. In most cases, we know little about migratory routes or stopover sites south of the U.S., and for some species of conservation concern, we still do not know where the majority of the population spends the winter. Mortality during migration may be 15 times higher than during the relatively stable breeding and winter periods. Migrating birds depend on high-quality habitat for safe travel and refuelling stopovers between distant breeding and wintering homes. With mounting threats, only increased and strategic international cooperation can maintain this vital connectivity and protect sufficient high-quality habitats to ensure safe migrations for birds across the continent. For strategic cooperation, we need to understand how and where our birds are connected. Many migrant birds from Canada and the United States depend on the same tropical highland forests in southern Mexico as highly threatened resident bird species. 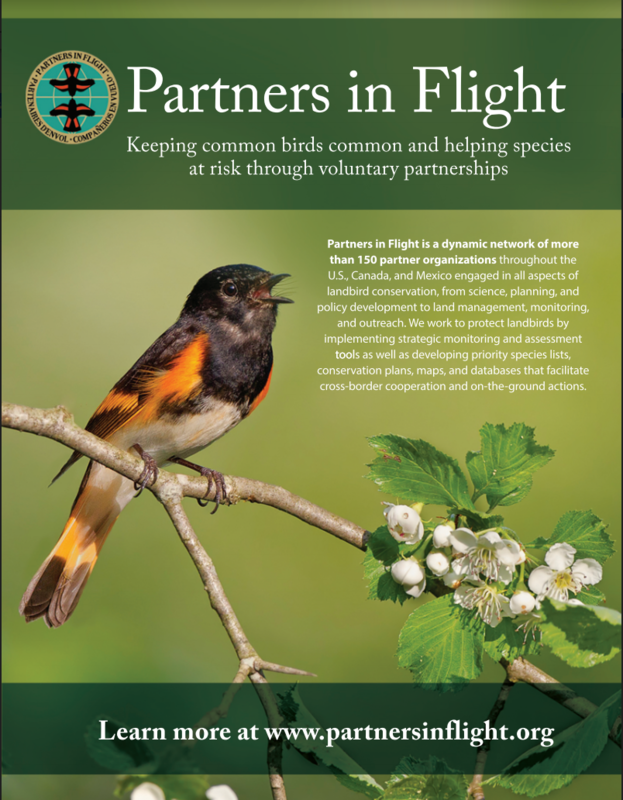 The linkages among birds and habitats compel us to work internationally, to reinforce partnerships, and to develop new mechanisms for conserving both migrants and residents. Identifying and protecting key stopover habitats, including those south of the U.S., is a high priority. These include important corridors, bottlenecks, and roost sites for diurnally migrating raptors, swallows, and swifts, as well as key forested regions where millions of birds make extended stops to rest and refuel. The Neotropical Flyways Initiative is currently assessing the value of stopover regions and habitats to long-distance migratory birds in Central and northern South America. The challenge of conserving migratory birds is complicated by the fact that habitat conditions in one season can affect the reproduction and survival of birds in subsequent seasons. Poor quality winter habitat, for example, can affect the timing of migration, leading to decreased survival or reproductive success. 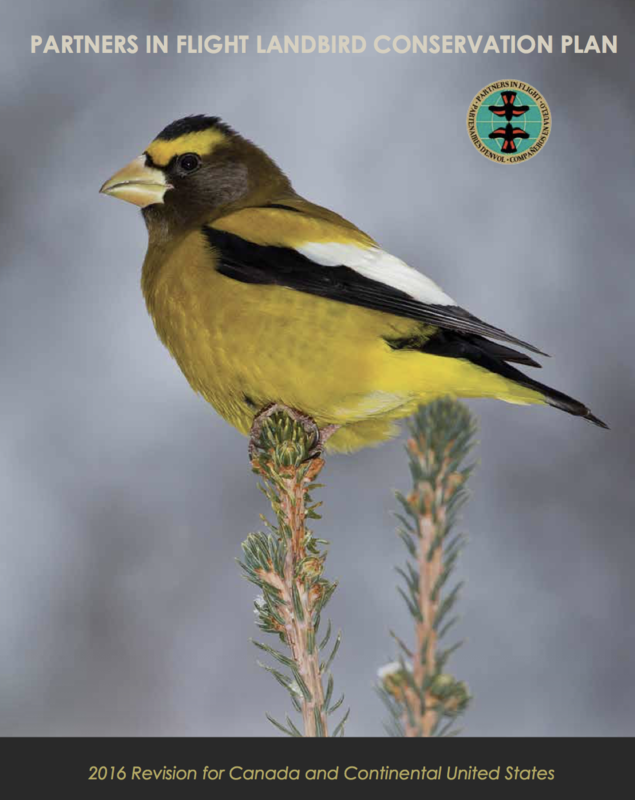 Information compiled for the PIF 2016 Landbird Conservation Plan illustrates that where a species spends the winter may be a better predictor of population declines than where it breeds. Therefore, actions to improve conditions in the Neotropics can have far-reaching positive effects on breeding birds in the U.S. and Canada. Conserving our shared North American landbirds requires a hemispheric perspective and a commitment to international cooperation. The northern regions of great abundance and the southern zones of great diversity are joined through the annual migrations of billions of birds, funneling southward across the continent each fall and expanding back into the northern latitudes each spring. Join Partners in Flight in building an international vision for conservation action to preserve the spectacle of our migrating birdlife. The unique “triangular” geography of North America shapes the birdlife in our three nations. The vast expanses of northern Canada and Alaska support relatively few breeding landbird species added up over such a large area; however, their total numbers are enormous. In contrast, a tremendous diversity of bird species, many with very small global populations, thrives in the narrow region of southern Mexico, where temperate and tropical systems meet. These disparate regions of great abundance and diversity are joined through the annual migrations of billions of birds, funneling southward across the continent each fall and expanding back into the northern latitudes each spring. 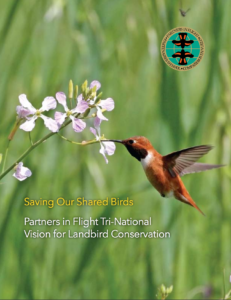 Preserving this spectacle of birdlife requires a tri-national vision for conservation action.